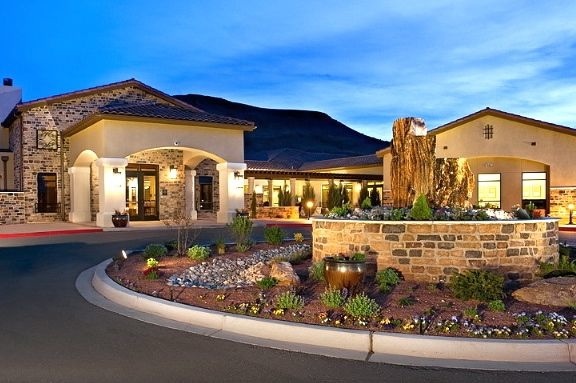 Jubilee at Los Lunas offers fantastic amenities and impressive views for residents as young as age 45. With plans for 700 homes, Jubilee at Los Lunas is the largest active adult community in New Mexico. The development is located just 20 miles south of Albuquerque, yet its on-site amenities give residents plenty of recreations within the community gates. Nestled at the base of the El Cerro de Los Lunas Mountain, Jubilee at Los Lunas also offers spectacular scenery for its lovely homes. Jubilee at Los Lunas was opened by Jenamar Communities, in 2006, but is now being developed by Avalon. The community has plans for approximately 700 single-family homes, designed for active adults aged 45 or better. These diverse homes are currently available on either a new construction or resale basis. Set within the Albuquerque area, Jubilee at Los Lunas typically enjoys blue skies and over 320 days of sunshine each year. Community amenities are designed to make good use of this lovely weather, with a mix of both indoor and outdoor recreations. Phase I of the Villa Jubilee Clubhouse opened in 2009 and more amenities will be added in future phases. Currently, the clubhouse offers plenty of space for socializing. Residents can gather in the welcoming clubhouse lounge, enjoy a game of billiards or pursue a favorite activity in the hobby room. The state-of-the-art fitness center offers cardiovascular and strength-training equipment, as well as an aerobics and dance studio along with private locker rooms. 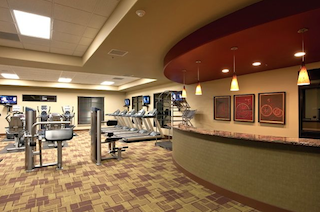 The state-of-the-art fitness center features high-quality cardiovascular and weight training equipment. The clubhouse will be expanded as the community continues to develop. Upon completion, the clubhouse is expected to include indoor and outdoor swimming pools, a multipurpose ballroom, and sports courts for tennis, pickleball and bocce ball. Residents can also explore the community with scenic walking and biking trails. When it comes to homes, Jubilee at Los Lunas offers a number of single-family designs. Homes in the Emerald and Diamond Series were built by Jenamar and are now available only on a resale basis. They were built with floor plans ranging from 1,143 to 2,872 square feet. Depending on the model, homes in these series may include two or three bedrooms, two to three bathrooms, and one-and-a-half to two-and-a-half-car garages. Home in the Choice Series, by Avalon, are currently available as both new construction or resale homes. These stylish homes offer versatile designs ranging from 1,405 to 2,972 square feet. They typically include two bedrooms, two bathrooms and two-car garages. Several models include separate dens and one model has a third bedroom. The two largest designs offers an additional half or full bathroom, while the largest home also has a two-and-a-half-car garage. For active adults in the Albuquerque area, Jubilee at Los Lunas offers appealing amenities, beautiful homes and convenient access to shopping centers, restaurants and many local attractions.